This small-sided game is designed to attack the defending team at speed, while creating and then using 2v1 overloads to create scoring opportunities. 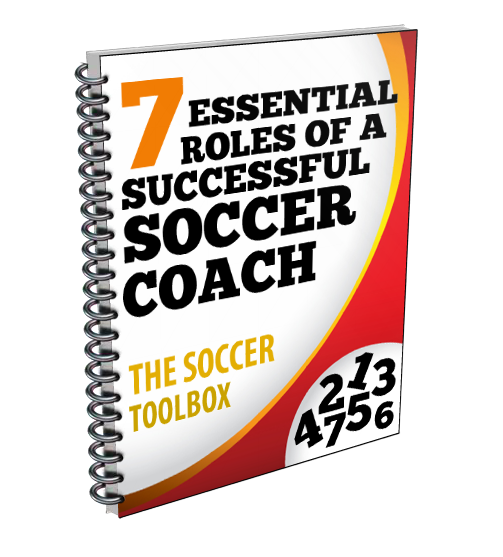 This post is provided by World Class Coaching, a great resource for coaching tools. This can be achieved when you do not have a lot of space. You need a GK in one goal (if you have 2 you can put then in the other goal) the defenders can go anywhere but must start higher than the halfway line. There are 2 other defenders that rotate in that wait off to the side. The attackers start in a triangle and the ball can start in with any player, players are allowed to rotate after each attack but I give them freedom to communicate with each other who should go where. Give your players the simple instructions and let them play straight away. Most likely they will forget or not fully comprehend the speed of the ‘counter attack’. After a while encourage them to drive forward with the ball. I explain driving to my players as running at speed with the ball. Eventually a defender will step towards the ball. Roughly two steps away you want your players to slide the ball wide. Here you have created a 2v1. Then depending on where the other defender is the receiving player can either (1) take it to goal or (2) pass across to the opposite player if the defender gets back in time creating another 2v1. If the defenders intercept the pass or manage to tackle the attackers they can then counter attack on the opposite goal. After the attack finishes all player rotate off at the sides, the defenders waiting on the side enter the field and the remaining 3 attackers start the attack. If the attacker on the side has the ball and they decide to drive across the field (1) one player should overlap creating a 2v1 on that side and depending on the movements of the defender they can either pass through the gap or if there is no gap the option would be to (2) pass wide in the direction they are travelling. If you want to advance the activity and make it more challenging you can add another defender and attacker. And allow your players to rotate themselves. 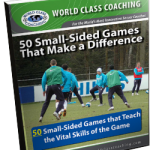 World Class Coaching is also offering a Free eBook: 50 Small-Sided Games That Make a Difference.